The Freud Diablo D1012LFC 10 in. x 12-Tooth Polycrystalline Diamond (PCD) Tipped Ultimate Flooring Blade is specially designed for cutting laminate. It features a unique Polycrystalline Diamond-tipped tooth geometry for exceptional durability in sawing highly abrasive materials. 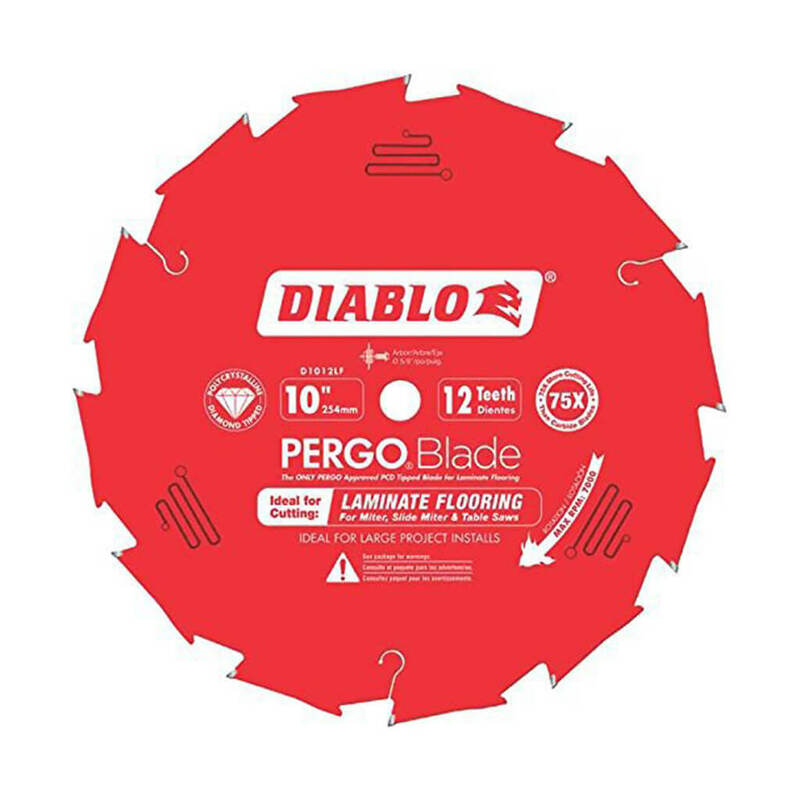 Engineered to outlast ordinary carbide-tipped blades, this saw blade effortlessly cuts through laminate planks to create finely honed edges without burnout. Also suitable for cutting bamboo, hardwood and engineered flooring, the Perma-SHIELD nonstick coating on this blade reduces drag so there is minimal friction and heat buildup.